What does the flowering reveal? 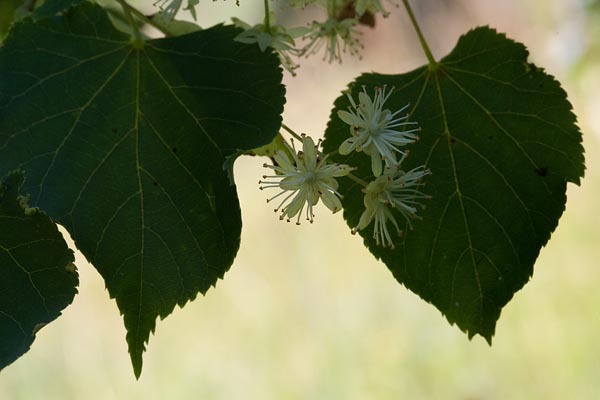 The last of our native trees to flower is the lime. In addition to the indigenous small-leaved lime there are about a dozen alien species used in city parks and streets. All have round or broadly eggshaped (ovate) leaves, more or less heart-like and with a serrate margin. The so called city limes are already flowering, the native ones have just begun. The yellowish-green or –white flowers are gathered in corymbs. A pale green elongated wing-like bract is attached to the stalk of the inflorescence.